Tonight’s Preview: The Kelowna Rockets face the Moose Jaw Warriors for the only time this season. Last season the Rockets suffered a 4-1 loss in Moose Jaw. On December 10, 2011, Shane McColgan scored the lone goal in the three goal setback. The Warriors scored all four goals (4/7) on the power play. The Warriors last visit to the Okanagan came back on January 6/2011 in a 4-2 win. Brett Bulmer and Geordie Wudrick scored goals for the Rockets in the loss. Jordon Cooke came into the game in a relief appearance making 16 saves. The Rockets last win over the Warriors was December 12/2009 in a 2-1 shootout. Geordie Wudrick scored the game winning goal. The Rockets enter tonight’s game riding a nine game home ice winning streak having out-scored the opposition 43-10. Overall, the Rockets have three regulation losses in their last sixteen games (12-3-0-1) with setbacks to Tri City (3-2) twice by the same score and a 5-3 loss in Edmonton October 27th. The Rockets have won nine of their last eleven games overall. The Rockets travel to Kent where they will face the Seattle Thunderbirds on Saturday. This and That: The Rockets were 11-14-1-0 after 26 games last season. These season the team has 5 more wins and six fewer losses…The Rockets have led going into the third period in 15 of their last 18 games with one game being tied heading into the final frame.…The Rockets have fired 278 (40 shots per game) shots towards the opposition net in the last seven games….The Rockets have allowed six power play goals against in their last eleven games (33 for 45) and are top 5 in the league in penalty killing efficiency and share the league lead in shorthanded goals (5)…..The Rockets have five power play goal in their last twelve games (5 for 37 over that span)….The Rockets have sixteen wins in 26 games this season….Colton Sissons participated in the Subway Super Series in Vancouver. Team Canada will announce its training camp roster December 1st…In the Rockets 16 wins, Myles Bell has earned 31 points (13+18=31). Of the 80 goals scored by the team in those sixteen wins, Bell has been in on 31 (26%) of them….Bell has 17+22=39 after 26 games this season…The Rockets have scored 82 goals in their last eighteen games (4.5 per game)…..Jordon Cooke was named the CHL/Vaughn Goaltender of the Week for October 22-28th. Cooke had two wins last week which included a shutout and a save percentage of .967…Ryan Olsen played in his 150th career WHL game Nov 3rd against visiting Prince George…Ryan Huska recorded his 200th WHL regular season victory last Saturday against the visiting Saskatoon Blades…The Rockets are 10 and 2 after 12 home games this season…Madison Bowey (10), Mitch Wheaton (22) are rated among the top skaters in the WHL by NHL Central Scouting for June’s draft. Jackson Whistle is ranked 7th among WHL goalies…Austin Glover (Team Western), Rourke Chartier (Team Western) and Riley Stadel (Team Pacific) will all play at the World U-17 Hockey Challenge in late December in Quebec. The Rockets have out-scored the opposition 56-19 on home ice this season…The Rockets are one of three teams in the WHL with over 100 goals scored this season (103). Last season the team scored 217 times…The Rockets have not allowed more than 3 goals against per game; in their last eleven games…Myles Bell is two points shy of the 41 he recorded last season. Bell had a career high 45 points (14+31=45) with Regina in 2010-2011. He was just 17. Who’s Hot: Myles Bell has 16 points in November (8+8=16). Bell has 15 points in his last seven games. Colton Sissons is riding a six game point streak (1+6=7). Ryan Olsen had a six game point streak snapped Wednesday against Tri City. Olsen had (6+1=7) over that stretch. Zach Franko has 2+5=7 in last five games. Tyson Baillie has 2+5=7 in last 8 games. Myles Bell leads the Rockets in three star-balloting with 8. Bell has been named the second star a tea leading five times…Jordon Cooke has been named a star 7 times, with a team leading three – first star appearances. Zach Franko is third in three-star balloting with 6. The Kelowna Rockets are now down to more manageable numbers. The team sent 18 year-old Filip Vasko to the Red Deer Rebels today for a 6th round WHL bantam pick. Vasko was in tough considering the steady play coming from all four lines and wanting to get more ice time for Cole Linaker and 16 year-old Austin Glover. You knew something had to give after Vasko returned to the team this season with no guarantee he would stick around after going goalless last season. I will say, Vasko`s play is much improved and he brings something to the table, but again, is he heads and shoulders better than some of the teams 16 and 17 year-old players. The answer, unfortunately for Vasko is no. The Rockets have 25 players on their roster. It is a sign of a good team when you don`t play well yet end up winning at the end of the night. 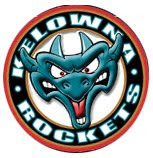 The Kelowna Rockets didn`t have the same snap in their game Wednesday night against the Tri City Americans but still ended up winning 3-2. Dylen McKinlay, who hadn`t scored in nine games, beat Americans goaltender Eric Comrie between the legs for the game winner, as the Rockets won for the 16th time this season. It was the 20 year-olds third game winning goal of the season and now ties him for the team lead with Tyrell Goulbourne. Linemate Myles Bell scored twice in the win, his 49th and 50th goals of his major junior career. Bell is now 4th in league scoring with 17+22=39. If you suggested Bell would have more goals that Portland`s Ty Rattie or the Blazers Tim Bozon, I`d suggested you were smoking something funny. The Rockets opening the scoring less than two minutes into the game, but the Americans found their game. Despite being out-shot at one point 7-2 and trailing 2-0, the Americans battled back with a power play goal and eventually tied the score heading into the first intermission. Americans goaltender Eric Comrie saw significantly less rubber than the last time these two teams met, but still made one spectacular save that will likely be considered for the WHL Plays of the Week. Comrie simply robbed Rockets captain Colton Sissons of a sure goal on a third period power play. The Rockets moved the puck around perfectly before Sissons was located at the right of Comrie on a one timer. The 17 year-old goaltender literally did the splits to keep the puck out and kept the score 3-2. The Americans just don`t take bad penalties and the Rockets did, specifically early in the game. Fortunately, the disciplined improved for the home team as the game wore on, but again, the Americans were allowed three chances in the first period and capitalized with Damon Severson in the box for tripping. The Rockets have now won 9 straight games on home ice and own a 10 and 2 record at Prospera Place this season. Only three teams, Spokane (12) Kamloops and Portland (11 wins) have more home ice wins that the Rockets do. Hard to imagine that the Rockets are just six home ice wins shy of equally their total number of wins last season. Yep, they won just 16 times in front of their home town crowd in 2011-2012. After recording just 3+1=4 in his first 13 games, Tyson Baillie has 2+5=7 in his last eight games. It marked only the third time this season the Rockets have been involved in a one goal game at home. The others were against Kamloops and Edmonton. The Americans out-shot the Rockets, marking only the third time this season that has happened on home ice. The Rockets are now the second highest scoring team in the WHL with 106 goals scored, one better than the Kamloops Blazers. The Blazers have played two more games. Portland leads the league with 116 goals but have played one fewer game. Tonight’s Preview: The Kelowna Rockets face the Tri City Americans tonight in the third meeting of the season. These two teams met twice earlier this month, in Kennewick, with the Rockets losing by identical 3-2 scored. The Rockets fired 87 shots at Eric Comrie over the two games. The seasonal series comes to a close January 11th when the Americans make a return visit. The Rockets enter tonight’s game riding an eight game home ice winning streak having out-scored the opposition 40-8. Overall, the Rockets have three regulation losses in their last fifteen games (11-3-0-1) with setbacks to Tri City (3-2) twice by the same score and a 5-3 loss in Edmonton October 27th. The Rockets have won eight of their last ten games overall. The Rockets host Moose Jaw Friday night before traveling to Seattle on Saturday. This and That: The Rockets were 11-13-1-0 after 25 games last season. These season the team has 4 more wins and five fewer losses…The Rockets have led going into the third period in 14 of their last 17 games with one game being tied heading into the final frame.…The Rockets have fired 255 (42.8 shots per game) shots towards the opposition net in the last six games….The Rockets have allowed five power play goals against in their last ten games (32 for 40) and are top 5 in the league in penalty killing efficiency…..The Rockets have five power play goal in their last eleven games (5 for 33 over that span)….The Rockets have fifteen wins in 25 games this season….Colton Sissons participated in the Subway Super Series in Vancouver. Team Canada will announce its training camp roster December 1st…In the Rockets 15 wins, Myles Bell has earned 29 points (11+18=29). Of the 77 goals scored by the team in those fifteen wins, Bell has been in on 29 of them….Bell has 15+22=37 after 25 games this season…The Rockets have scored 79 goals in their last seventeen games (4.6 per game)…..Jordon Cooke was named the CHL/Vaughn Goaltender of the Week for October 22-28th. Cooke had two wins last week which included a shutout and a save percentage of .967…Ryan Olsen played in his 150th career WHL game Nov 3rd against visiting Prince George…Ryan Huska recorded his 200th WHL regular season victory Saturday night against the visiting Saskatoon Blades…The Rockets are 9 and 2 after 11 home games this season…Madison Bowey (10), Mitch Wheaton (22) are rated among the top skaters in the WHL by NHL Central Scouting for June’s draft. Jackson Whistle is ranked 7th among WHL goalies…Austin Glover (Team Western), Rourke Chartier (Team Western) and Riley Stadel (Team Pacific) will all play at the World U-17 Hockey Challenge in late December in Quebec. 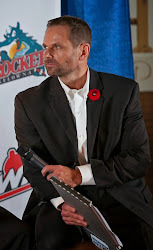 The Rockets have out-scored the opposition 53-17 on home ice this season…The Rockets won 8 straight games at home during the 2007-2008 season….The Rockets are one of three teams in the WHL with over 100 goals scored this season (103). Last season the team scored 217 times…The Rockets have not allowed more than 3 goals against in their last ten games…Myles Bell is two goals shy of 50 for his career and 6 assists shy of 100…Bell is four points shy of the 41 he recorded last season. Bell had a career high 45 points (14+31=45) with Regina in 2010-2011. He was just 17. Who’s Hot: Myles Bell has 14 points in November (6+8=14). Bell has 13 points in his last six games. Colton Sissons is riding a five game point streak (1+5=6). Ryan Olsen has a six game point streak (6+1=7). Zach Franko has 2+5=7 in last four games. Tyson Baillie has 2+4=6 in last 7 games. How was your weekend? Was it as good as the Kelowna Rockets? You won’t get much better than that when you win three straight games and out-score the opponent 22-5. No I am not lying. The Rockets beat Regina 5-1 Friday night, blasted the Saskatoon Blades Saturday night 9-2 and then tipped the tables on the Everett Silvertips with an 8-2 win on Sunday. The weekend moved the Rockets to within two points of Tri City for fourth place in the Western Conference. Ironic, the two teams collide Wednesday night at Prospera Place as the Rockets look for their 9th straight home ice win. The Rockets have now scored the third most goals in the WHL. With 103 goals scored, only Kamloops (105) and Portland (116) have scored more goals. If you throw out the power play goals, the Rockets have scored the second most even strength goals behind only Portland. Carter Rigby scored his first career hat trick Sunday in Everett. A healthy scratch Saturday against Saskatoon, the 18 year-old scored his first three goals of the season. Two of the three goals came on breakaways on passes from Henrik Nyberg and Tyson Baillie. Jackson Whistle received the start Sunday and earned his 6th win of the season. The 17 year-old is the only undefeated goalie in the WHL. Whistle’s best save came against Josh Winquist in the second period on a two-on-one when the score was still 3-1 for Kelowna. In an effort to generate more offense, Tips head coach Mark Ferner elected to use leading scorer Landon Oslanski as a forward. Maybe Ferner too is considering moving the veteran up front much like the Rockets did with Myles Bell. Oslanski is a defenceman by trade. Speaking of Bell, the 19 year-old put up 3 goals and 5 assists in three games this weekend to lead all scorers. Does Bell receive consideration for WHL Player of the Week? The scouts room in Everett was packed prior to game time. Who were they there to watch? Safe to say Madison Bowey caught their attention with his strong play. The 17 year-olds hard point shot likely impressed as it cruised past Tips goaltender Austin Lotz and his +4 rating didn’t hurt his cause either . The coaches elected to scratch 16 year-old Rourke Chartier. The rookie had dressed in the team’s first 24 regular season games. That means only three Rockets have played in all 25 games. That honour is held by Myles Bell, Colton Sissons and 20 year-old Dylan McKinlay. The two wins against Regina and Saskatoon this weekend extended the team’s home ice winning streak to eight games. Is that close to a team record? Not even close. The Rockets went 28 games without a loss on home ice in 2004-2005. That season the team lost just four times in regulation in 36 games at Prospera Place. If you missed it Saturday night, Ryan Huska earned his 200th career coaching victory in the Rockets 9-2 win over the Blades. Huska joins the likes of Tri City Americans head coach Jim Hiller, who won his 200th game last season. 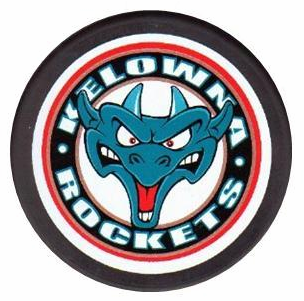 Tonight’s Preview: The Kelowna Rockets play a rare game against the Saskatoon Blades. This is the one and only meeting of the season between the two teams. These two teams met once last season, in Saskatoon, in a Kelowna Rockets 5-1 win (December 17th). Carter Rigby scored once and added two assists in the victory. Ryan Olsen, then a Blade, had an assist in a losing cause. The Blades last visited Kelowna on December 4/2010 in a 6-3 loss. Damon Severson, Mitchell Callahan and Shane McColgan each had 1+1=2 in the win. Ryan Olsen, again as a member of the Blades, had an assist in the setback. The Rockets enter tonight’s game riding a seven game home ice winning streak having out-scored the opposition 31-6. The Rockets have shut out the opposition in three of their last seven home games. Overall, the Rockets have three regulation losses in their last thirteen games (9-3-0-1) with setbacks to Tri City (3-2) twice by the same score and a 5-3 loss in Edmonton October 27th. The Rockets have won six of their last eight games overall. The Rockets are in Everett on Sunday before hosting Tri City this Wednesday. Ollie beats the Goalie: Ryan Olsen leads the Rockets in goals with 12. The 18 year-old was acquired from the Saskatoon Blades this summer for forwards Shane McColgan and Jessey Astles. Olsen is two goals shy of his career best of 14 goals scored last season as a 17 year-old. Olsen was the Blades first round pick in the 2009 WHL Bantam Draft. Olsen has played just 20 games this season after serving a three game suspension earlier this season for a high hit in a game in Victoria in early October. This and That: The Rockets have led going into the third period in 13 of their last 15 games…The Rockets have fired 167 (42 shots per game) shots towards the opposition net in the last four games….The Rockets have allowed two power play goals against in their last eight games (27 for 29) and are top 5 in the league in penalty killing efficiency…..The Rockets have four power play goal in their last nine games (4 for 29 over that span)….The Rockets have thirteen wins in 23 games this season….The Rockets play 11 games in November, with eight of them on home ice. The three road games are in Tri City (Nov 16-17) and Everett (Nov 25)…Colton Sissons participated in the Subway Sup Series in Vancouver…In the Rockets 13 wins this season, Myles Bell has earned 24 points (8+16=24). Of the 60 goals scored by the team in those thirteen wins, Bell has been in on 24 of them….Bell has 12+20=32 after 23 games this season…J.T Barnett returned to the line-up last night after missing 21 games with a lower body injury….The Rockets have scored 62 goals in their last fifteen games…..Jordon Cooke was named the CHL/Vaughn Goaltender of the Week for October 22-28th. Cooke had two wins last week which included a shutout and a save percentage of .967…Ryan Olsen played in his 150th career WHL game Nov 3rd against visiting Prince George…Ryan Huska has 199 WHL regular season victories behind the Rockets bench…The Rockets are 8 and 2 after 10 home games this season…Madison Bowey (10), Mitch Wheaton (22) are rated among the top skaters in the WHL by NHL Central Scouting for June’s draft. Jackson Whistle is ranked 7th among WHL goalies…Austin Glover (Team Western), Rourke Chartier (Team Western) and Riley Stadel (Team Pacific) will all play at the World U-17 Hockey Challenge in late December in Quebec..The Rockets have out-scored the opposition 44-15 on home ice this season. 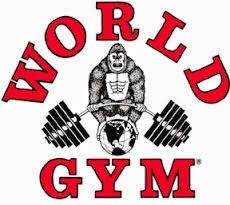 If you are Myles Bell, Ryan Olsen, J.T Barnett or Cody Fowlie, you are jacked to play this weekend. For the first time ever all four members of the Kelowna Rockets will play against the teams that traded or released them outright. They will all likely play down the fact they want to show their former coaches and teammates that they should have been a big part of the future of their organizations, but no doubt all four will have a little extra jump in their step in an effort to leave the impression on their former team that they would look a heck of a lot better in their jersey than the red one with the angry looking Ogopogo on the front. Myles Bell: For Myles Bell (pictured at right at 16 years-old), the move from Regina to Kelowna was necessary. The Pats did the best in accommodating the now 19 year-old and they wouldn't be shocked on the player Bell has become. 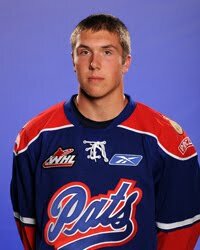 The Pats made Bell a first round bantam pick in 2008 and the Calgary resident didn't disappoint in two plus years in Regina. I applaud the Pats organization for sending a player to a place where he can excel and chase his dream of playing pro hockey. Had Bell remained with the Pats, he would likely still be playing defense. With his hockey career in Kelowna, Bell is the leading scorer of his team as a forward. Ryan Olsen: I am not sure how Ryan Olsen feels about his departure from Saskatoon, but the trade this summer from the eventual Memorial Cup hosts had to hurt his pride. Olsen too was a first round bantam pick of the Blades and should have been a bright part of their future. Did the Blades not believe they could be as competitive with Olsen as they are now with what they received in return? When the Blades are offered another teams leading scorer and a tough, gritty player is also a part of the package, that's pretty tough to pass up. If they could redo the trade, considering the 11 goals Olsen has scored this season, maybe they would take a mulligan? But in saying that, would Olsen have flourished under Blades coach Lorne Molleken, or has the change to a player friendly coach brought out the best in Olsen? J.T Barnett/Cody Fowlie: You would think both 20 year-old's will have a lot of jump in their step Sunday afternoon when they visit the Comcast Arena in Everett. The former Tips return to face a team that didn't see them as good enough to fill the three overage spots each team is allotted. Can you blame Everett management? Not in Barnett's case. The Arizona product was often hurt and their was no assurance he would be healthy enough to play this season. On top of that, Barnett underachieved as a 19 year-old and any good team needs 20 year-old players that make a significant contribution in one form or another. Fowlie's departure may be the bigger surprise because of the 14 goals he scored with the Tips last season as a 19 year-old. As an energy guy, Fowlie played on a Tips team last season that won just 22 games. It would be safe to say scoring chances for Fowlie and his teammates were significantly reduced last season because they were spending so much time in their own zone defending. Now in Kelowna, Fowlie is playing more at the other end of the ice and has 6 points (5+1=6) in ten games with the Rockets this season. Regardless of what the final scores may be this weekend, it will be fun to watch these four players prove they are making significant contributions on a new team that has welcomed them with open arms. Funny how a person flourishes when they know they are wanted. Olsen on pace for 35 goals?